Woohoo! 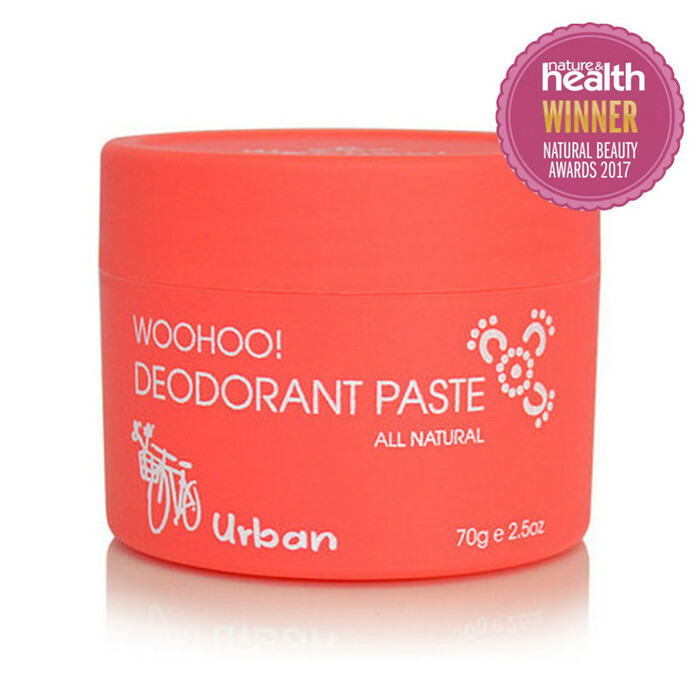 in Urban is an all-natural deodorant paste from Happy Skincare. It works by helping to destroy the bacteria that causes body odour as well as absorbing moisture without blocking the sweat glands. It contains a non-greasy, fast-drying formula, including Shea Butter, Coconut Oil and Vanilla Extract, with Zinc Oxide and Bi-carb, which work together to provide strong protection, yet is suitable for those with sensitive skin. The clear paste leaves no yellow stains or white marks on clothing. This pot is supplied with its own mini spatula to help keep any bacteria from your fingers out of the paste. Butyrospermum Parkii (Shea) Butter*, Manihot Esculenta (Tapioca) Root Starch, Sodium Bicarbonate, Cocos Nucifera (Coconut) Oil*, Kaolin Clay, Isoamyl Laurate, Euphorbia Cerifera Cera (Candelilla) Wax, Triethyl Citrate, Zinc Oxide, Tocopherol (Vitamin E), Citrus Aurantium Dulcis (Orange) Peel Oil, Cedrus Atlantica Wood (Cedarwood Atlas) Oil, Lavandula Angustifolia (Lavender) Oil, Cymbopogon Martini (Palmarosa) Oil, Rosa Damascena (Rose) Oil and Vanilla planifolia (Vanilla) Extract. This is a great product, I love the packaging and love that it comes with a little spoon to take out the right amount of product. 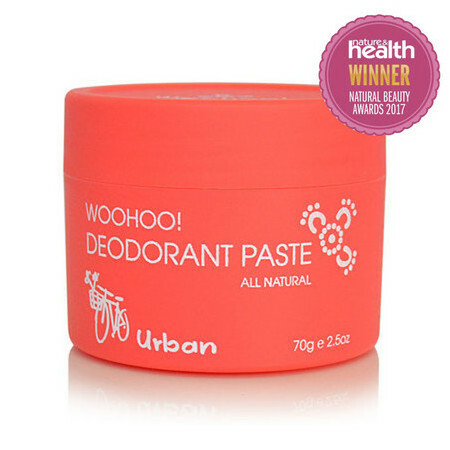 It isn't a deodorant I reached for when going to the gym though, I smelt pretty funky after a sweaty session but this works great for me for everyday use. This paste lasted about 5 minutes. I sit in an air conditioned office, barely moving and not sweating. I STANK! I mean, I would rather have not worn deodorant at all and I would smell nicer. I had to buy proper deodorant so I would not offend my colleagues. I wear cotton loose fit clothing. Nothing tight. Really disappointed as I wanted this to work. Lovely scent and creamy a texture that has been the nicest to apply of all natural deodorants I have tried so far, unfortunately it gives me an unbearable itchy rash. 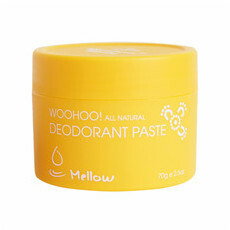 After comparing ingredients I think I need to use a natural deodorant that is bi-carb free. 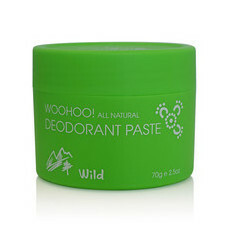 There’s no way I’m giving up on natural deodorant, I just need to find the one that suits my skin.